I shall be eternally grateful to Sister Barbara FSO (The Spiritual Family The Work) who, at the end of a beautiful service at St Antonius church in June in Bregenz, Austria this year, asked me if I had ever been to the annual Night Walk to Littlemore to commemorate John Henry Newman’s reception into the Catholic Church. As an Anglican convert myself, I couldn’t believe I had never heard of this and living only 48 miles away I was like an excitable puppy when the day came for us to stay at Littlemore – in Barberi cottage no less! 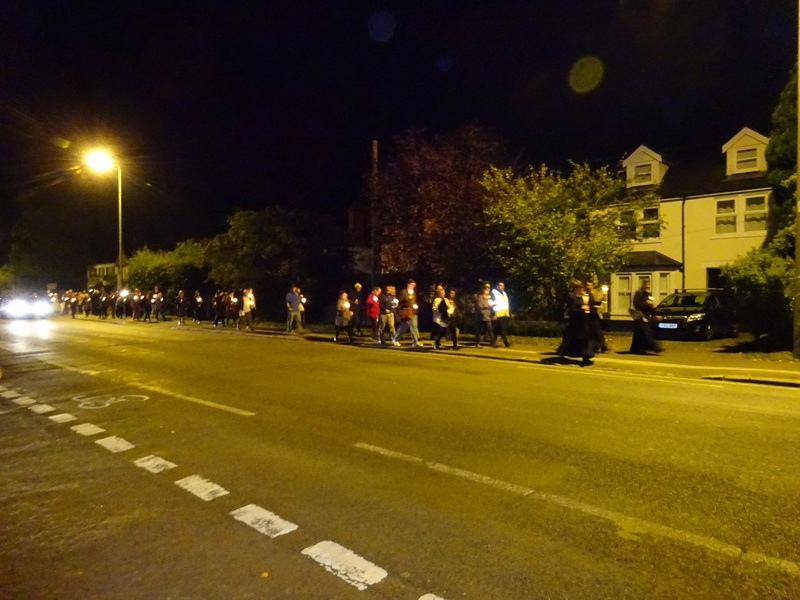 The annual Night Walk – a tradition initiated by Sister Brigitte FSO in 1990 together with the Catholic Chaplaincy and the Oxford Oratory – was more mystical, beautiful and peaceful than I could have imagined, taking place as it did on a Sunday night before the first day of Michaelmas term. 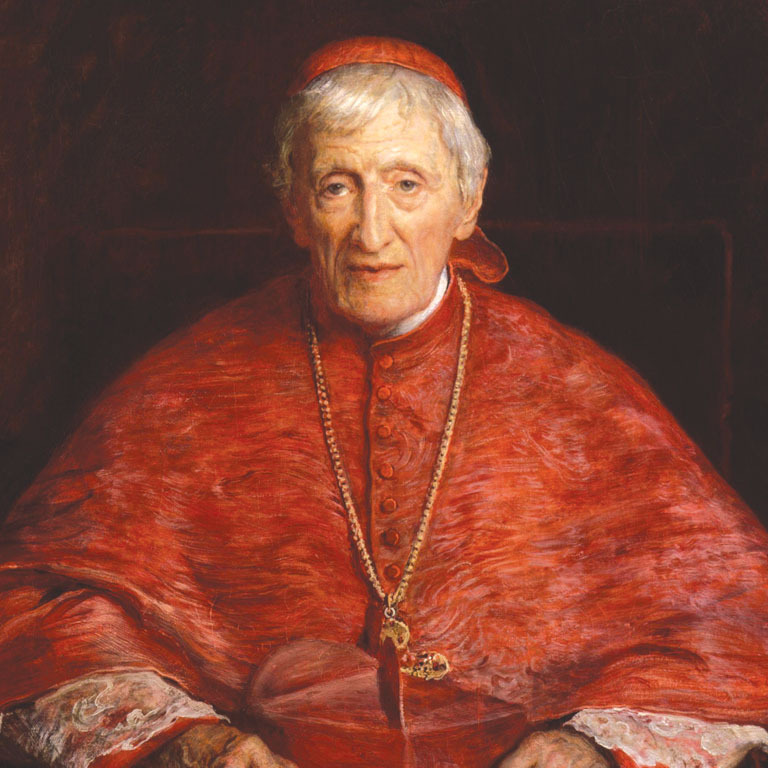 There was excited chatter and meditative silence in equal measure as Fr Daniel, Provost of the Oxford Oratory, led us through lamp-lit, cobbled streets of Oxford imparting fascinating details of Newman’s life. St Alban’s Hall, for example, now part of Merton College, was once a college of a mere 12 students who had Newman has their vice-principal – oh lucky them. And who would have thought the chic Grand Café on the High Street was once called the Angel Inn, the most important coaching house in Oxford and was the very place where Blessed Dominic Barberi stopped that historic, stormy night? The end of each piece of the dramatic narrative was punctuated with a Glory Be, a Hail Mary, a prayer for the conversion of England and the Lord’s prayer. As if to confirm this change, indeed even validating my own conversion, Sr. Tatjana FSO at Littlemore graciously gave me the privilege of reading Newman’s Meditation “The Intercessory Power of the Mother of God” during the Holy Hour in the church of Blessed Dominic. After gathering in Newman’s library where he famously fell to his knees and made his first confession to Bl.Dominic Barberi, we venerated Newman’s relic in the tiny chapel at Littlemore. After some delicious tea and cakes made by the Sisters of the Work, the hundred or so tired but joyful pilgrims headed home. How thankful I was to only have to walk a few steps to Barberi cottage for bed and in Blessed Dominic Barberi’s room to boot! For my part, I would like to thank all the Sisters of The Work at Littlemore for their wonderful hospitality, Sr. Barbara and Sr. Daniela and all at Thalbach convent in Bregenz for making my participation in the Night Walk possible, for providing me – an Anglican convert – with a second home at Littlemore and a new companion on my spiritual journey: Blessed John Henry Newman.